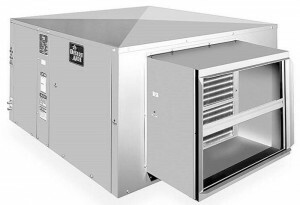 Desert Aire is a leading manufacturer of refrigeration-based dehumidifiers and dedicated outdoor air systems that provide effective, efficient solutions to humidity problems in residential, commercial, institutional and industrial environments. A Desert Aire system properly removes humidity to promote greater comfort, structural integrity, improved IAQ and higher energy savings. Desert Aire DOAS units meet ASHRAE Standards 62 and 90.1.